A treatment plant for treating trade waste water from a dry dock needed a couple of pumps to feed a constant flow to the plant for optimum treatment results. The pumping application was demanding as the pumps needed to lift up 2m from a sump and pump water that contained oil, paint flakes and rust as well as other general debris found in a dry dock. 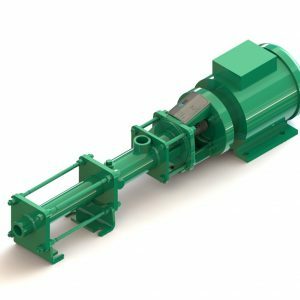 Submersible pumps – the generally accepted pump for these types of applications – were ruled out as the high shear action of the impellers emulsified the oil and a centrifugal pump would give variable flows. Pump & Valve sold 2 x Roto progressive cavity pumps that lifted the water up and out of the sump. These pumps had a gentle low shear pumping action and – thanks to the low rubbing velocities – could easily handle the abrasive particles. The positive displacement action of the pumps gives a very constant flow and this makes the treatment process less complex and far more controllable.